Modern age: In the modern age, we depend on freezers and packaging to preserve our food. Business models: A company’s business model is important to form goals and succeed. Economic success: The economic success of our planet is vital to keeping our world clean and sustainable. 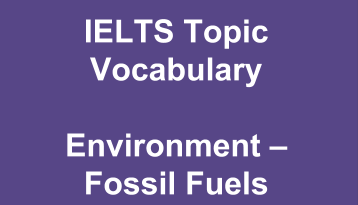 Fossil fuels: Coal and oil are two important fossil fuels we use in our society. Carbon emissions: Our carbon emissions are so high that we are seeing global warming occur. Urgent decarbonization: We must begin urgent decarbonization in order to bring our carbon levels down and slow down global warming. Climate change: Climate change is a serious issue that will affect generations to come. Energy crisis: The energy crisis revolves around the idea that when our fossil fuels are used up, we will not have a way to produce energy. Energy efficiency: We must learn the benefits of energy efficiency so we can use our fossil fuels for as long as possible. 1. How does Mr. Hopkins explain the “energy mountain” in our world today? Explain his theory with examples. 2. How has our world gotten us into a vulnerable situation when it comes to our usage of fossil fuels? Explain and discuss. 3. What does Mr. Hopkins suggest we need in order to slow down our fossil fuel usage worldwide? Provide details. 4. What is the energy descent plan explained in the TED talk? How is this plan helpful to our world? Give specific reasoning. 5. How can we as a communal world lower our carbon emissions and simultaneously build resilience? Explain your answer with examples. The discovery and researching of safe alternative options to ______ _____ should be the biggest priority of all government in our world today, because if we do not try to solve the ______ ______ as well as prevent it, our world will be lost when our fossil fuels are all used up. Firstly, this should be the world’s first priority, because even if ______ _______________ is successful, eventually we will still run out of our fossil fuels. When we do run out, we will need safe alternatives to take their place in order to produce energy and keep our ________ _______. Studies have shown that even with our population incorporating ______ __________ into their lifestyles, we will still run out of both coal and oil in the next few centuries. Therefore, we need to start thinking of alternatives now. Secondly, we need to revolve ________ ______ for companies and plans for communities around new energy use, because lowering our ______ __________ is not enough. While it is effective to invest in teaching green methods to prevent _______ ______, we must also invest in teaching sustainability as well in order to survive without fossil fuels in the future. It is possible that we will not find a safe alternative to fossil fuels and we will have to revert back to manual labor and personal farming for our families. Therefore, sustainability and research are just as important as preservation. In conclusion, while reducing our carbon emissions and slowing down climate change is important, it should be our world’s first priority to look towards the future. We need to find safe alternatives as well as prepare for the worst in the ______ ___, because the future is inevitable. Click here for sample task two questions about the environment.